Slow browsing is most common issues for Internet users. There are too many things that could affect your Internet speed. In this section, I will present you the most basic methods to cope with slow browsing. 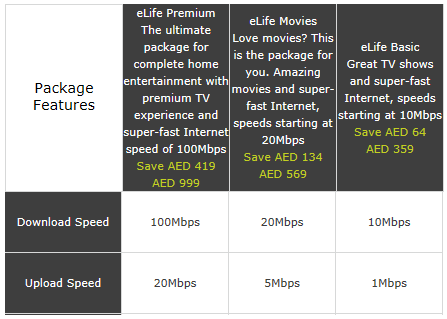 Etisalat Internet package starts with 256kbps, 512kbps, 1mb, 10mb, 20mb, 50mb, 100mb and has different price range and additional products. You should be aware about your package before going to next step. If you don't know about the price and package you are using you can call 101 and make inquiries. 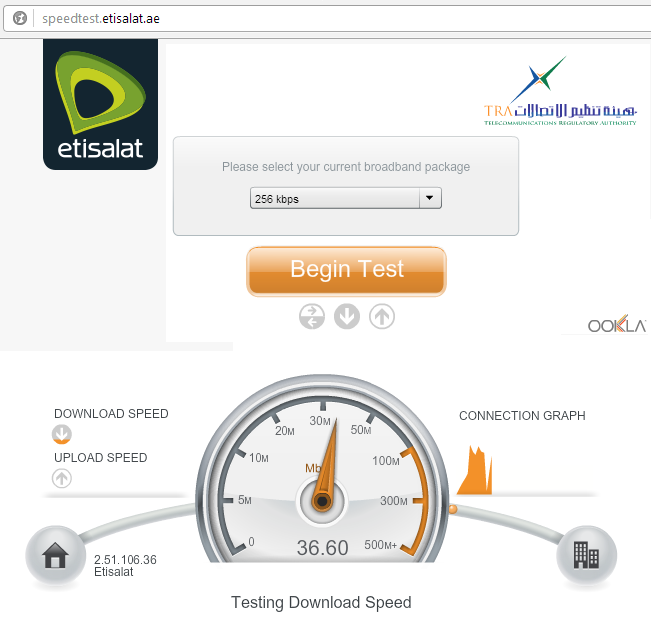 If you have copper based Al Shamil connection, the straight-forward way to check Internet speed is to plug a ready made CAT6 patch cable (available in the market) from the router LAN port to your computer, disconnect the wifi connection in your device and perform Speed test at least 2 or 3 times. Connect your router and computer with ready made CAT6 patch cable and perform Speed test. 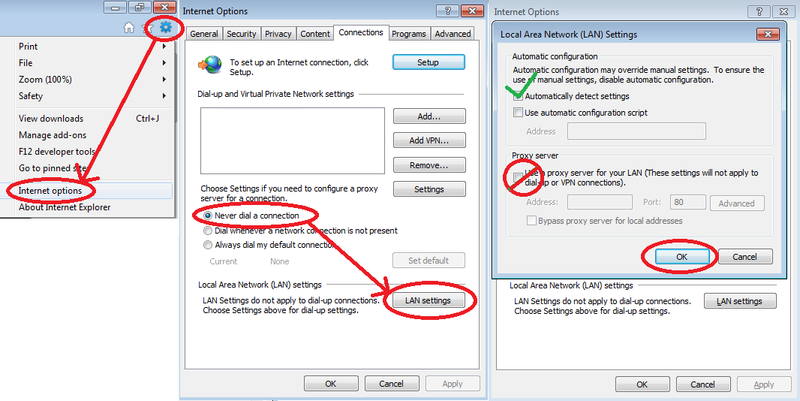 If you are getting slower download speed follow step 2.
a) Connect your computer directly to the Ethernet Port 1 of the fiber optic box ONT with ready made CAT6 patch cable. Avoid sharing with neighbors or strangers as much as possible. Most routers can handle 16 wifi connection. Sharing your Internet with strangers, your security guard, or friends of friend is like works like a chain reaction, thus drains most bandwidth. In UAE, you can be behind the bars due to Internet sharing. I have seen most people doing MAC filtering which is good option but not the better unless you have suitable router for that kind of stuff. There could be issues from ISP side also. If you are upgrading to higher speed, sometime the automation task gets stuck and does not provide you the requested speed. Sometime there is issue with the parameters of your account or username/password. 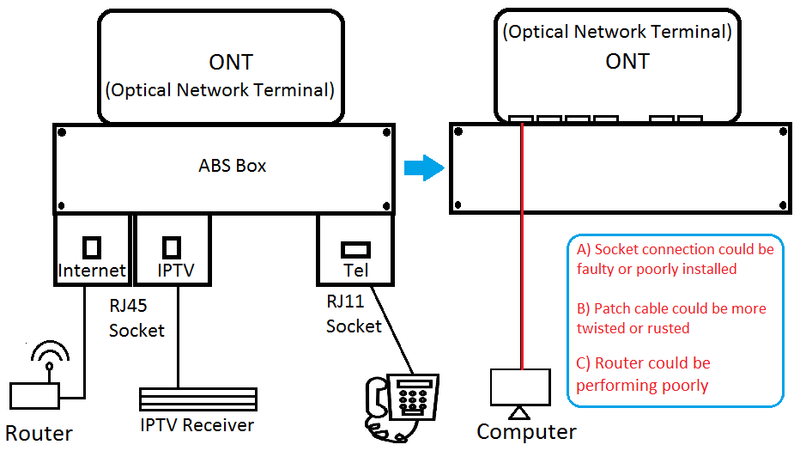 Sometime there could be problem in ONT Ethernet port or the router provided by your ISP. Sometime the existing router does not have capacity to support the speed. Your ISP usually has a section to monitor and control the Internet Bandwidth for its subscribers. If you are clear from Steps 1 to 5, kindly book a complaint for assistance.